It’s the area of health care where the stakes are perhaps highest, where mere minutes can mean the difference between death and the preservation of life. It’s also a wildly expensive area of medicine — one that, when done well, intricately links everyone from dispatchers to paramedics to surgeons and rehabilitation specialists. Across the country, these networks are expected to deliver impeccable service with little or no delay. If not, the results can be devastating. Welcome to the world of trauma care. Simply put, trauma is a global epidemic — a leading cause of morbidity and health care costs around the world. Every year, more than 100 million people are injured worldwide, with more than five million dying as a result. In the United States, trauma is the fourth leading cause of death, behind heart disease, stroke and cancer. In Canada, according to a recent report by Smartrisk, a nonprofit organization that works to prevent injury, serious injuries resulted in more than three million emergency room visits in 2004. The report, The Economic Burden of Injury in Canada, also concluded that traumatic injuries left more than 211 000 Canadians hospitalized, resulted in more than 67 000 permanent disabilities and led to 13 677 deaths. Yet the trauma systems designed to deal with major injuries vary greatly across Canada. In fact, not all provinces have formal trauma systems, which consist of a complex, integrated chain of roughly a dozen components, including dispatch, transportation, surgical services, intensive care units, long-term rehabilitation facilities and research and prevention efforts. New Brunswick, for example, only recently moved to establish a formal provincial trauma system (CMAJ 2010. DOI:10.1503/cmaj.109-3207). In some provinces, such as Alberta, as much as 94% of the population is within range of air ambulance helicopters and thus, within an hour’s reach of Level 1 trauma centres. Image courtesy of © 2010 Jupiterimages Corp. But what of the provinces with fully entrenched trauma networks? Is there a Canadian gold standard? Dr. Morad Hameed, who has compared provincial systems, says four provinces sit at the top of the list: Ontario, Alberta, British Columbia and Nova Scotia. According to Hameed, a trauma surgeon at the Vancouver General Hospital in Vancouver, British Columbia, those four systems share many characteristics that set them apart, including closely linked hospitals and helicopter ambulance service. In Alberta, for example, 94% of the population is within range of air ambulance helicopters run by the Shock Trauma Air Rescue Society, and thus, within reach of Level 1 trauma centres in Calgary and Edmonton. In British Columbia, a central program called BC Bed Line tracks the availability of acute care beds so physicians can easily transfer critically ill patients to facilities where space is available. The program logs more than 7000 calls annually. Ontario, home to the highest volume of trauma injuries in Canada, contains 11 designated lead trauma hospitals. The vast majority of residents are within an hour’s reach by road or air ambulance of proper trauma care. Essentially, the four provinces ensure that a large portion of their populations can land at a proper trauma centre within the so-called Golden Hour — the 60-minute period following a major accident where medical attention has the greatest impact. After that hour, chances of survival and recovery fade significantly. According to Hameed’s research, 77.5% of Canadians live within an hour’s drive of one of the country’s 32 Level 1 and Level 2 trauma centres. Hameed argues that a clear divide exists between urban and rural areas —one that all provinces must work to narrow. One of the biggest barriers to expansion, however, is cost. Nova Scotia, with fewer than one million people, spends about $400 million a year caring for its injured. The Smartrisk report concluded that injuries accounted for $10.7 billion in health care costs in 2004. That’s now pegged at $15 billion annually. 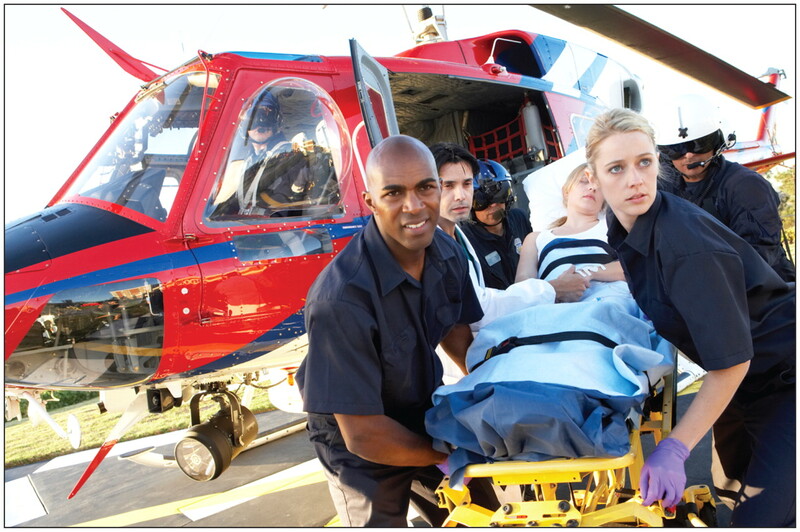 The US spend US$150 billion annually to treat traumatic injuries. “You expect a trauma centre to fail financially. If you’re an investor and think you can open a trauma centre and make money, you’re in the wrong business,” says John Sampalis, a trauma researcher and clinical epidemiologist at McGill University in Montréal, Quebec. Spending millions of dollars on a trauma network in heavily populated southern Ontario is clearly a no-brainer. That’s complicated by the fact that distances to hospital in areas like the Yukon turn the Golden Hour into a moot point. As for provinces with trauma systems, Dubinsky argues that some neglect facets of their systems, particularly prevention and rehabilitation. Second of a series on trauma services.